The narwhal is a fascinating whale that lives in the Arctic Ocean. It reminds many people of the mythical unicorn because one of the male’s teeth—and occasionally one of the female’s—is hugely elongated. A narwhal has two teeth. The roots of the teeth are buried in the upper jaw. The left tooth actually grows through the upper lip, extending out of the whale’s mouth to form a straight, spiraled tusk. This may be as long as ten feet in the male. Unlike our teeth, a narwhal's tusk is somewhat flexible. The “nar” in the narwhal’s name comes from an Old Norse word that means “corpse”. The mottled black, grey, and white appearance of the adults reminded earlier people of a floating corpse in the sea. The scientific name of the narwhal is Monodon monoceros, which in Greek means “one tooth, one horn”. Narwhals are adapted for life in the Arctic and are rarely found below 65° north in latitude. They are most abundant in the Arctic Ocean near Canada and Greenland. They also inhabit the water by Russia and Svalbard, which is part of Norway. Occasionally they are seen near Alaska. The whales usually swim offshore at various depths in the water, often in the midst of ice. An adult narwhal generally reaches 13 to 20 feet in length, not including the tusk. The males are usually longer than the females. Researchers say that males weigh up to 3500 to 4000 pounds while females weigh up to 2200 pounds. 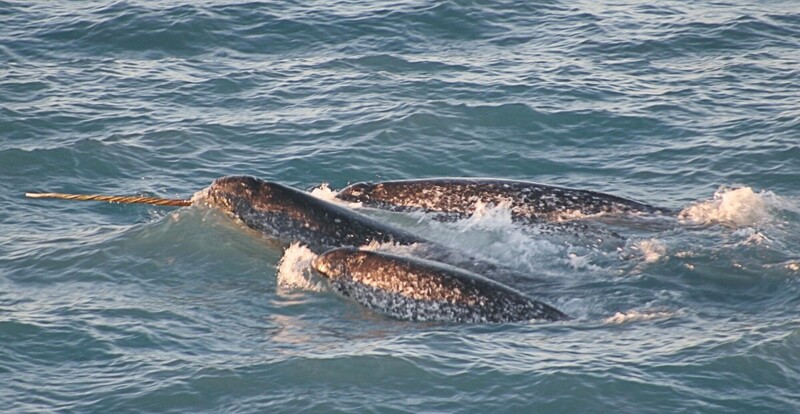 Narwhals have a mottled black and white appearance. Some individuals look darker than others. The underside of the whale's body is paler than the back and sides. Older individuals have a whiter body with less mottling. The narwhal's mouth has a curved shape, making the whale look as though it's always smiling. The whale has a ridge on the top of its body instead of a dorsal fin, which enables it to swim under ice easily. The beluga whale, the only other whale in the same family as the narwhal, also lives in the Arctic and has the same dorsal ridge. Both whales have a short snout, a flexible neck, and a thick layer of blubber to keep them warm in their icy habitat. The blubber of a narwhal may be as much as four inches thick. Like all whales, narwhals are mammals and breathe air. 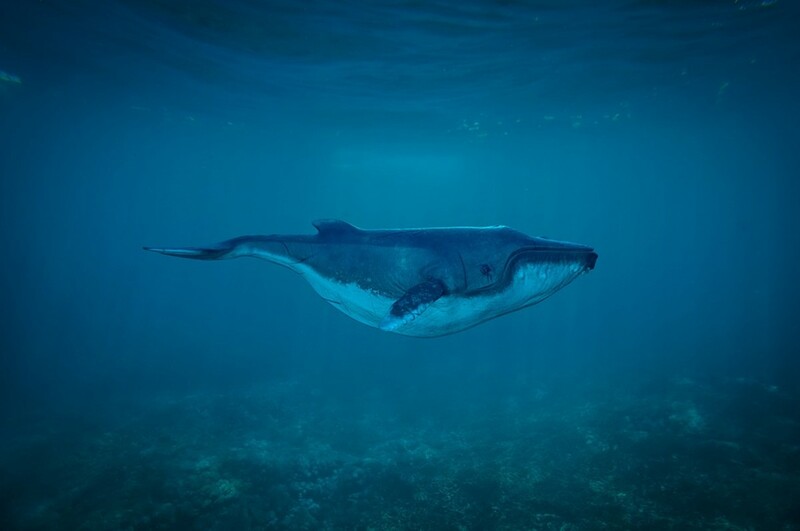 Unlike other mammals, however, whales don't use their mouths to breathe. Air is inhaled through the blowhole on the top of their head and then travels to the lungs, where oxygen is extracted from the air and carbon dioxide is added to it. The air is then exhaled through the blowhole. Some whales have two blowholes, but toothed whales such as the narwhal and the beluga have only one. When the whale dives the blowhole closes so that the whale doesn't drown. There is a lot that is unknown about narwhals. They don't survive in captivity. Other whales that have been studied are voluntary breathers. They have to consciously decide to breathe, unlike us. This means that the whales don't sleep in quite the same way that we do, since part of their brain must make the decision to surface for air. Like other toothed whales, narwhals and beluga whales have a melon. This is a fatty structure in their foreheads which is used in echolocation. Echolocation is a process in which a whale emits sound waves that bounce off an object in the environment and return to the whale. The reflected sound enables the whale to detect the size, shape, distance, and velocity of the object. This ability is useful in deep, murky water where eyes aren't very helpful. 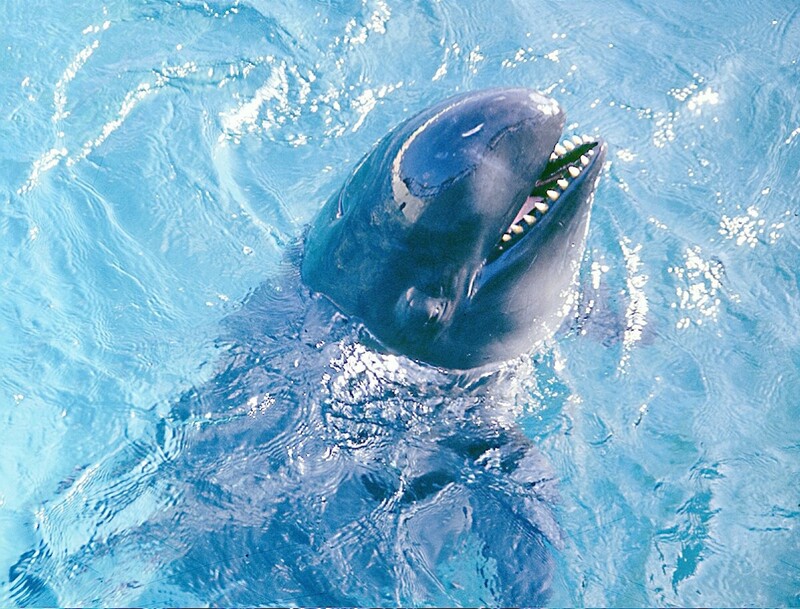 Toothed whales don't have vocal cords but use a specialized structure in their head and nasal passage to make sounds. The melon concentrates the beam of sound that is emitted. Males generally have one tusk but may have two or none. The function of the tusk is a mystery. 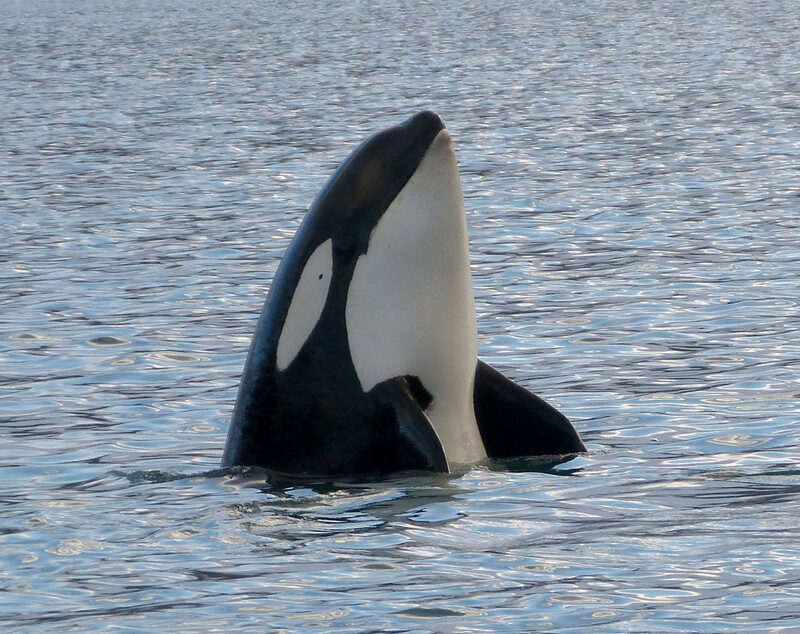 The leading theory is that it's a sign of an animal's importance and rank in its pod and that the appearance of the tusk is an indication of the whale's dominance. Older theories claimed that the tusks are weapons to attack other narwhals and boats and to spear fish or that they are used to dig into ice or the ocean bottom. There is no confirmed evidence for these claims and they have been discarded. Some researchers have noticed the many tubules and nerves that travel through narwhal tusks. They have also noticed that the surface of a tusk is very sensitive to stimuli. The researchers believe that the tusks are used as sense organs. 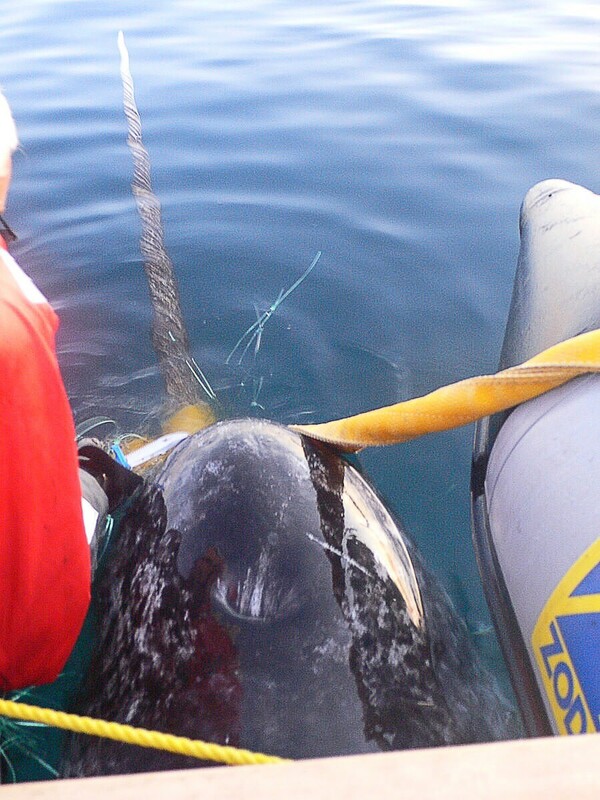 Scientists experimented with a narwhal that was temporarily captured and then released unharmed. They found that when the salinity around the tusk was changed, the animal produced new brain waves. It's theorized that the ability to detect salinity changes enables narwhals to tell whether ice is forming in nearby water, which can be dangerous for the animals. It might also enable the whales to detect areas of water where specific prey are likely to be found. The narwhal's tusk is sensitive to temperature and pressure changes as well as chemicals. Narwhals come together to rub their tusks against those of other whales, a process known as "tusking". The whales are presumably detecting sensations from the contact. The rubbing may remove algae and other deposits from the tusks as well as serving other functions. In earlier times, Viking traders sold narwhal tusk as unicorn horn. People buying this "unicorn horn" believed that it had magical properties and were prepared to pay large sums of money to obtain it. It was a prized possession and was thought to cure disease and neutralize poisons. In 2017, Canadian scientists obtained an amazing video of narwhals captured by a drone. The whales were travelling through a school of cod. As can be seen in the video below, the whale periodically jerks its tusk from side to side or up and down as it swims through the fish school. The scientists believe that the whale stuns a fish as it does this, making the prey easier to catch. This behaviour is definitely worth investigating further. It doesn't negate the possibility that the tusk is a sense organ, but it could represent an additional function of the structure. Narwhals have large brains in relation to their body size and seem to be intelligent. They are social animals that live in pods of two to thirty animals. The pods may contain both genders or may consist of only females or only males. Pods may sometimes come together to produce huge herds containing hundreds of whales. 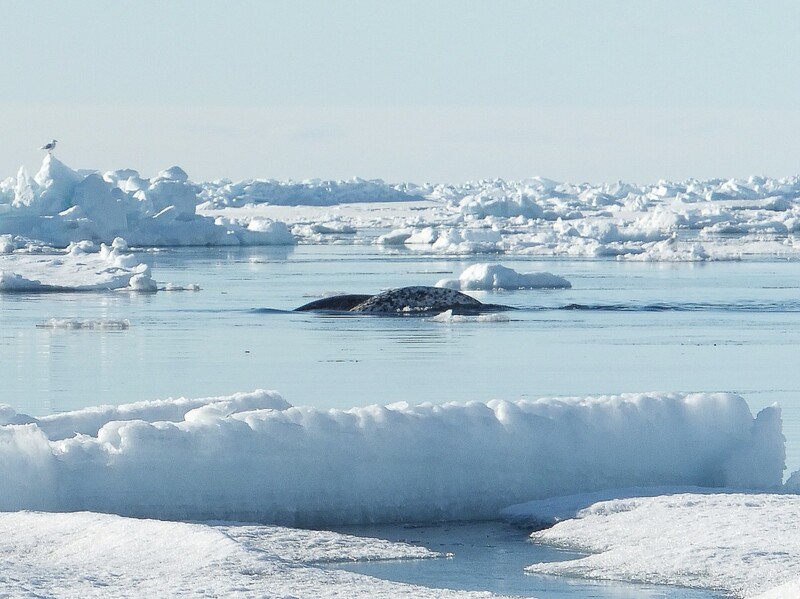 The whales move through channels and pools in the pack ice. They often raise part of their bodies out of the water, their tusks pointing up to the sky. They are also seen floating on their backs. Narwhals are carnivores and feed chiefly on fish, especially halibut. They also eat cod, squid, shrimp, and skate eggs. They catch most of their prey in the lower levels of the water. Analysis of the stomachs of dead narwhals suggests that they eat a narrow range of foods and that they do most of their feeding in the winter. Narwhals have a variety of vocalizations, including clicks, squeals, whistles, and pulsed/tonal signals. The whales use sounds for communication and well as for echolocation. Individuals seem to have unique vocalizations that specify their identity. 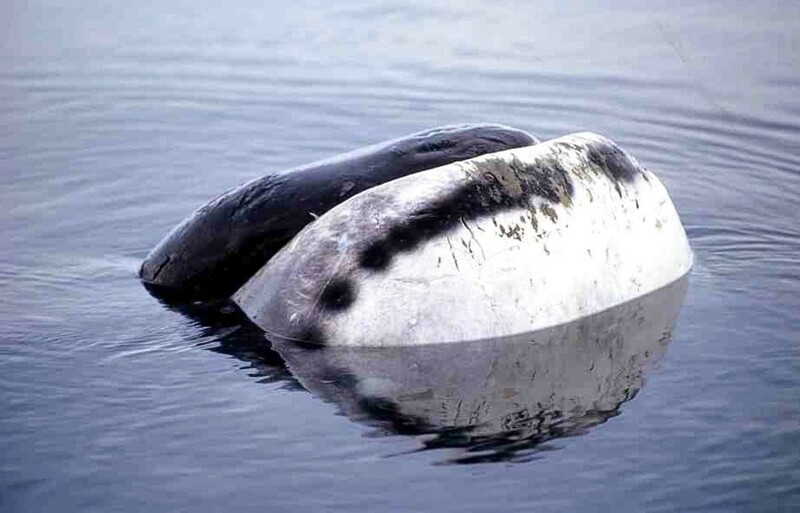 By using satellite tags, scientists have found that narwhals dive up to 1600 meters, or one mile, to get their food. One record dive reached 1800 meters. Narwhals migrate, spending their winter in deep, offshore water and then moving northwards in the summer. The deepest dives occur in the winter and may last as long as twenty-five minutes. The total amount of time that a whale spends underwater each day amazes researchers. Research has shown than in winter they spend more than three hours each day in water deeper than 800 meters, or half a mile. The whales explore depths where the pressure on their bodies is extremely high—up to 1500 atmospheres or 2200 pounds per square inch—and the light is nonexistent. Narwhals have a number of interesting adaptations that enable them to deal with the huge pressure that they encounter in deep water. Some of these adaptations are described below. Narwhals have a flexible and compressible ribcage. Like us, the whales have a pigment in their muscles called myoglobin, which stores and supplies oxygen. However, narwhal muscles have a much higher concentration of myoglobin than humans and other mammals that live on land. The narwhal can shut off the blood supply to certain parts of its body when it dives. The whale has the highest percentage of slow-twitch muscles of any marine mammal studied. These muscles work slowly, as their name implies, and allow for slow movement. They don't tire as easily as fast-twitch muscles. The streamlined body shape of narwhals is very efficient, helping them to swim with less effort than some other marine animals. Narwhals mate in March or April in their winter habitat. The female produces one calf after a gestation of around fourteen months. She is believed to give birth once every three years. The single calf is born tail first. Twins are sometimes produced but are rare. It's thought that calves don't start to grow a tusk until they reach about one year of age. Narwhals may be able to live for up to ninety years. The Inuit have traditionally hunted narwhals for their meat and the ivory in their tusks and are still legally able to do so. For thousands of years the narwhal has been very important for the Inuit's survival. Its skin is rich in vitamin C, which is hard to obtain in the Arctic. The Inuit eat the skin, blubber, and meat of the whale. They sell the ivory or use it for carving. Narwhals are also hunted by killer whales and polar bears. There are believed to be about 123,000 narwhals in existence. The population is classified as "Least Concern" by the International Union for Conservation of Nature (IUCN) based on a July 2017 assessment. The organization says that the population trend in unknown, however. This means that they don't know whether the number of narwhals is increasing or decreasing. They also point out that the animal has a wide distribution and that some groups may be susceptible to stresses that don't affect others. Climate change is the most serious factor affecting the survival of the whales. A serious problem is the increased mobility of the ice as the Arctic warms. If the ice freezes above the diving whales and they can't find a route to the surface, they will suffocate. It's also possible that they will be more visible to predators when they're swimming under thin ice and that the thinning ice may cause some of their prey to change their location. Narwhals are also susceptible to ice entrapment, a condition in which the whales are trapped in a small area of water surrounded by ice. Temperature and wind conditions can change rapidly in the Arctic. When trapped whales are found they are usually killed by hunters. In the near future, there may be new threats due to the increased number of ships in the Arctic as the ice melts and the increased exploration for oil. The future for narwhals is uncertain. 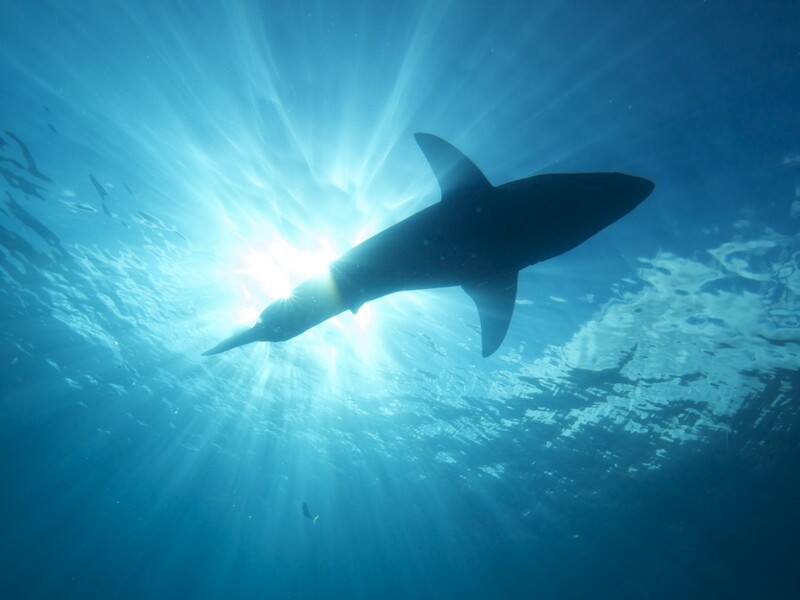 It's possible that they may eventually change their behavior to compensate for the warming climate and move to more stable areas, but there is no sign of this happening at the moment. The whales are highly adapted for living in their present habitat and for finding the prey that they currently eat. Their numbers seem to be good at the moment. Hopefully they will stay that way. It would be a great shame if this awesome animal were to become extinct. Scientists know that some whales and other cetaceans sleep near the water’s surface in either a horizontal or a vertical position. The animals stay close to the surface because they need to breathe periodically. The researchers assume that the motionless animals are sleeping because they don’t respond as divers approach. I’ve never read about any discoveries relating to where narwhals sleep, but we can make an assumption. Researchers know that the animals dive to great depths in winter and sometimes reach an amazing one mile below the surface. In summer they spend their time in shallower depths. They likely sleep quite close to the water’s surface throughout the year instead of resting in very deep water. They need to quickly and easily reach the surface of the water to breathe while they’re sleeping. Yes. They are mammals like us, so they release indigestible food from their large intestine as feces (or poop) as we do. Scientists refer to a group of narwhals as a pod, which is the same term that they use for a group of any type of whale. I don't know why someone started to call the pod a blessing. It's a nice name, though. It would be a blessing to see a narwhal pod in the wild. why is a narwhal pod called a blessing ? The full details of how whales sleep—including narwhals—isn’t known. It is known that at least some whales sleep while they are motionless and positioned either vertically or horizontally in the water. 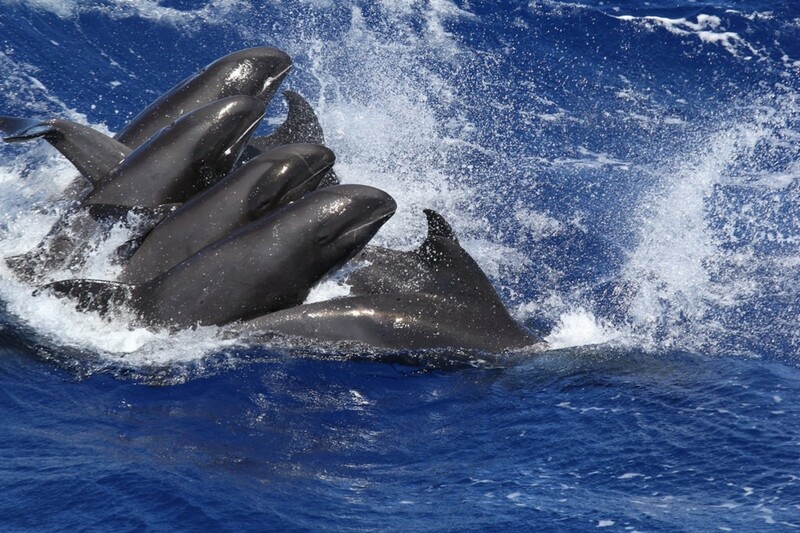 Their blowholes need to reach the surface in order for the animals to breathe, however. Researchers have discovered that in the bottlenose dolphin only one half of the brain is asleep at a time. The other half makes the decision to surface for air. The two halves of the brain take turns sleeping. The narwhal is a cetacean, like the bottlenose dolphin, so it’s possible that it breathes while sleeping by the same mechanism. This isn’t known for certain, though. Thanks for the comment, Madelyn. There's a lot that is still unknown about narwhals. Narwhals are seen hunting during the day. Many whales and dolphins sleep at night, but some use their echolocation to swim and hunt for food then, at least periodically. I haven't yet found any reliable information that narwhals do this. It's an interesting question. Are narwhals diurnal or nocturnal? Thanks? P.S. you info is very helpful! Scientists think that whales and dolphins have to sleep with one half of their brain awake so that they know when they have to surface for air. The other half of the brain sleeps. The halves of the brain take turns in sleeping and being awake. There's a lot that is unknown about the life of narwhals, but the fact that they can dive to great depths probably helps to protect them. Thank you, Eddy. I appreciate your comments and visits very much! I hope that the rest of your day is wonderful. Oh my Alicia how interestig was this. Amazing and I bookmark plus a vote up. Thanks for the comment, CMHypno. The purpose of the narwhal tusk is certainly mysterious. I hope that scientists do eventually find an explanation! Hi, James. Thank you for the comment. I appreciate the vote and the share as well! Yes, I wouldn't be surprised if narwhals lived for longer than is currently thought. They certainly are strange animals. Of all of the whales, the narwhal fascinates me the most, simply because they are so strange. They look like a creature straight out of an old 'sea monsters' story. Like pippap I'd heard of Bowhead Whales living up to 200 years, I wouldn't be surprised if Narwhals did too. Awesome hub, Alicia. Voted up and shared. Thank you for the comment, My Nurse Says. It's very nice to meet you! I agree, narwhals are beautiful animals and it's important to save them. Very Interesting and informative hub! These are rare creatures that are beautiful... and all the more that they must be saved from human harm. Thank you, Peggy! I appreciate your comment and share very much. I hope that the narwhal survives too. It's a unique and fascinating whale. Amazing hub, Alicia! 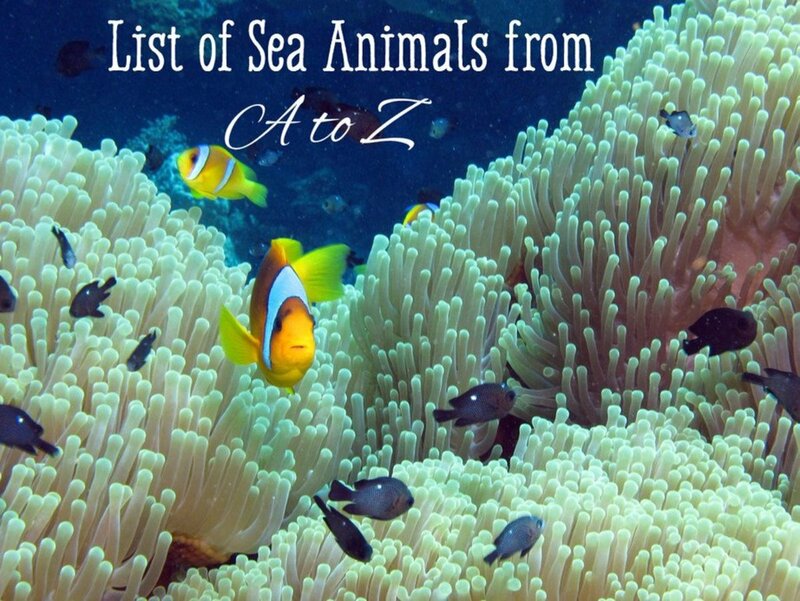 I watched every video and enjoyed them all in addition to what you wrote about this amazing sea creature. Hopefully the Narwhal will be able to exist on this planet long into the future. Up votes and will share! Hi, drbj. Thank you for the comment and the vote. I think that narwhals are amazing, too. I'm hoping that researchers will soon discover more about the functions of the tusk and tusking. The narwhal is so strange compared to other whales! The narwhals are amazing creatures, Alicia, and you have done them proud with this fact-filled exploration of their habits and habitat. So they use their ivory-like horns for tusking! Who knew? Voted up, m'dear. Thank you very much, Charlu!!! I appreciate your wonderful comment!! I would love to visit the Arctic and see narwhals in person, too. It would be cold and I would miss the comforts of home - but it would be worth it many times over to see the whales in their natural habitat! Thank you so much for the comment, the votes and the share, Lesley! Yes, I've noticed that narwhals are referred to in games, songs and animations. They are very interesting animals in real life too! An awesome hub Alicia, I thoroughly enjoyed reading this - I developed an affection for the narwhal after playing my Nintendo Wii game 'endless ocean' you get to look after your own whales and dolphins, the narwhal being one of them! Thank you, voted up across the board except funny and sharing. Thank you very much for the comment and the votes, writer20. No, I didn't see that show. I'm going to look out for it, though! Great hub. We watched the frozen plantnet last night and I'm sure you did as well. Voted up and Interesting. Hi, pippap. Thanks for the visit and the comment! I've read stories about two hundred year old spears being found embedded in bowhead whales, but never in a narwhal. There’s a lot that scientists don’t know about narwhals, though, and they could be wrong about their maximum lifespan. Thank you very much, Wesman! I appreciate your comment. I've read that polar bears do occasionally attack narwhals that have become trapped by ice. Great hub! Narwhals are among the most interesting of the whale species. A narwhal that had been killed during a hunt was found to have an ancient spearhead lodged in his muscles. It meant that this particular speciman was over 200 years old before it was killed. Who knows how long it would have lived if left alone. Outstanding! I must particularly applaud you for finding yet another critter to write about that I've seemingly forgotten. Of course I'd heard of the Narwhal...but hadn't thought about them in years! I wonder if polar bears attack them - as they will sometimes a beluga whale?